The best in premier new ebooks from tomorrow's literary stars. Would you do everything within your power to save your people? Even consort with sorcerers or risk damning your soul? That's Falath's choice. After a devastating misuse of magic the world of Riom shifts on its axis, initiating another Ice Age. Two thousand years pass before Tamilin, Master Healer and Seer, uncovers this truth. 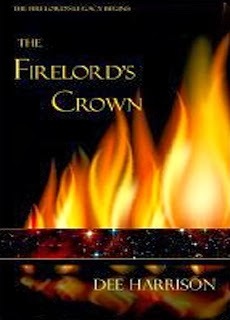 He learns that the only chance of saving his world from unrelenting winter is to reforge the Firelord’s Crown, the powerful artefact that was instrumental in the original magical battle. But the circlet was divided up amongst six companions who took ship and headed for safety when their homeland was destroyed. During the voyage one of the ships vanished but the segment her captain guarded will be needed to complete the Crown. Tamilin believes that it may lie far in the uncharted north and dispatches an expedition in search of it. The heart of this fast-paced, enthralling fantasy story is the search for a missing piece of a legendary crown but it also explores the complex relationships between Prince Falath; Rollo, his kinsman and protector, and Airen, the outsider, bringer of mystery and magic. They each journey not only to find the segment of crown but also to discover how best to be true to their own natures. 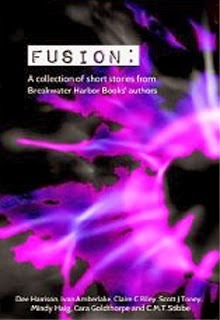 Featuring gripping Independent authors from around the world, FUSION is the first collection of short works published by Breakwater Harbor Books. Contributing heart-pumping tales of Science Fiction, Fantasy, Horror and Crime are seven stories that will thrill you, rivet you and some will even make you sleep with the light on. Authors from across a wide variety of genres, Dee Harrison, Ivan Amberlake, Claire C. Riley, Scott J. Toney, Mindy Haig, Cara Goldthorpe and C.M.T. Stibbe. AUTHORS - SUBMIT YOUR BOOK TO submit@theplaceforebooks.com--. Simple theme. Powered by Blogger.